update: I am not stating that what Upshur County Republican Party did was entirely legal. That is a question that the SREC is going to take at the next meeting.... but they did do it and it is news worthy even if their vote to kick him out might not stand. In March 2011, I wrote this article about the Corruption in Upshur County, and about how the Republican Chairman was actually a RINO trying to rid the County Party of Conservative Republicans. Some may not wish to believe it, but the truth is that not everyone who runs Republican believes in Republican Values. Sure, not every Republican will agree with each other all the time and that is okay, but some Republicans do not care about Republican values at all. They just simply want to win re-election so they put an R behind their name. That certainly does not mean that everyone who switches from Democrat to Republican is bad. There are many conservative Democrats who are finally seeing that the Democrat Party left them and that is great, and we want them to switch to Republican! Many East Texas counties have had conservative Dems switch over to the Republican Party recently, and this article is not to discredit that. This article is meant to show that we have to always keep our guard up and stand for our values and protect our Party from those few who want to destroy it from the inside. In other East Texas Corruption news, the Shelby County District Attorney Lynda Russell is under investigation for letting drug dealers go free if they paid a large amount of drug money to the County. The Republican Party of Upshur County finally had it with their Chairman, who even took money from the party for personal expenses. The Republican Party Upshur CEC voted on November 9th, 2011 to remove Ken Ambrose from his Chairman Position. The following is a Letter from the Upshur County Republican Party. This letter was sent to the Texas Republican Party Chairman Steve Munisteri. This following letter details the actions that have been taken by the County Party to remove the Chairman, and the reasons behind removing the Chairman. The State Republican Executive Committee (SREC) will be discussing this issue at the next meeting at the Party Headquarters in Austin on December 3rd, 2011. This letter is to inform you, as RPT’s leading officer and spokesperson for the Republican Party of Texas, that the Republican Party Upshur County Executive Committee voted to remove Chairman Kenneth Ambrose, under the procedures outlined in Section 62 of RRONR, the Party’s adopted rules, per Texas Election Code Section 163.002, applicable from the precinct level to the state level. As you will see in the enclosed Minutes of the November 9, 2011, meeting, (verbally approved by the Minutes Committee) the first reason for his removal includes his common use of vulgar and profane language that is particularly demeaning toward women. 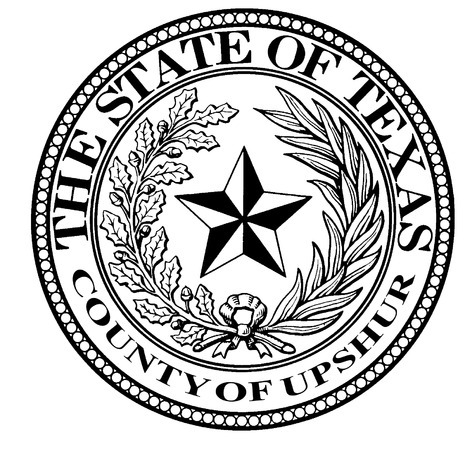 Since assuming his duties as Chairman, Mr. Ambrose has continually exhibited this type of embarrassing behavior toward the citizens of Upshur County, while publicly making un-factual accusations and misleading statements toward members of the CEC and other Party members and leaders. His disregard for public decorum, Party rules and election laws has been publicized in the local press to such a flagrant degree, that speculation is being raised about the security of the Party’s recently gained majority over the generational Democrat control of our county. This speculation has only grown since our own Republican District Attorney inexplicably decided to drop the misappropriation of funds charges against Chairman Ambrose, on his agreement to repay the money he wrongfully used for his own personal attorney’s legal fees. During the Re-Count for the 2010 Primary, Mr. Ambrose publicly stated his intent to replace all the elected Precinct Chairs who had not supported his campaign. He effectively carried out his threat by having the County Judge (a former Democrat, re-elected in 2010 as a Republican) administer public official oaths of office to his appointed replacements. He then filed those oaths in Commissioner Court records, along with filing them in the County Clerk’s office as statutorily required documents, purportedly listing the elected Precinct Chairs, but omitted the names of those eleven (11) Precinct Chairs. Because (as you have personally re-iterated), CEC’s are private entities and not subject to tribunal oversight by the RPT, costly Civil Court action was necessary to prohibit Mr. Ambrose’s arbitrary attempt (unsupported by even a simple majority of the CEC) to add the requirement of a sworn oath to the Election Code’s criteria for holding a Party office. Nonetheless, Mr. Ambrose continues to swear oaths to his supposed “appointed Vice Chairs”, and has created a shadow party by publicly presenting them as members of the CEC. As recently as September 29, he counted their presence to declare an illegal quorum, and attempted to elect a Secretary, when no vacancy existed. A Texas Ethics Commission complaint against Mr. Ambrose is in the process of being filed over his now second bad faith attempt to use the Commission to disqualify Madaline Barber’s election as CEC Secretary. His campaign to discredit Ms. Barber as Secretary began almost immediately after the District Court Judge ordered him to recognize her, among all the Precinct Chairs elected March 2, 2010, as comprising the CEC; and, when Bylaws authorizing the Secretary to call and send notice of CEC meetings were attached to the court’s directive to Mr. Ambrose to refrain from conducting meetings without providing proper notice to them. With filing deadlines for applications for the 2012 Primary ballot rapidly approaching, Mr. Ambrose has stepped up efforts to again disqualify applications from these same eleven (11) Precinct Chairs, (and by implication, any others from candidates who have not indicated their support for his 2012 re-election), by publicly stating that only HE can accept applications, while accusing Ms. Barber of disenfranchising voters by accepting them, although she is clearly allowed to do so under RPT and Election Code Sec. 172.02; and, by accusing the duly elected CEC of operating a shadow party (because the CEC has conducted business at meetings called by her)! Given the potential expense of litigation believed likely to ensue from applications filed directly with Mr. Ambrose, many prospective candidates have expressed reluctance to file and pay their fees to him. Accordingly, at its Third Quarterly meeting, the RPUC EC adopted a Resolution to create a Primary Committee per TEC Sec. 172.081 (a), (b), and (c), with Chairman Ambrose as its Chairman. However, Mr. Ambrose has failed to fulfill his duties as Chairman of the Committee, and refuses to attend meetings called by Ms. Barber, or to acknowledge any actions taken by the CEC at meetings she calls. He refuses to post notices for her to accept applications and continually asserts that she is not the Party Secretary. An opinion from the DA authorizing the County Clerk to accept applications filed with Ms. Barber and certified by the CEC, has been requested, but to date has not been forthcoming. Furthermore, a quandary exists regarding the Party’s new Primary Bank Account, which was established according to the adoption of a resolution of the CEC at its Third Quarterly meeting, to fulfill the CEC’s responsibility under TEC Sec. 173.034 (a), and while the Party Bank Accounts were frozen, then subsequently closed, during the chairman’s criminal investigation. Ms. Barber has registered this account with the SOS for Direct Deposit of Primary 2012 Election funds. As members of the Primary Committee, Ms. Barber, as Secretary, and myself as Vice-Chairman, are the approved signatories on the account. Recently, Mr. Ambrose has stated that I am not the Party Vice-Chairman because HE did not appoint me, apparently believing the Party Bylaws reserve his privileged appointment of all Party officers. Also, the Primary Contracting Officer, elected by the CEC at its Third Quarter meeting, has been prevented from obtaining the information necessary to negotiate contracts relating to the conduct of the Primary Election, in that the password required to obtain this information is provided only to the Party Chairman. Furthermore, Mr. Ambrose has failed to supply any financial report to the elected CEC since he assumed office. The District Court Judge, during the conduct of all three (3) Civil Court hearings, in finding for the Plaintiffs, stated his agreement with your understanding that CEC’s are private entities, thus precluding the court’s interference with how we conduct Party business, or how we adopt our rules and procedures, including Bylaws which prescribe the election of officers. Although his (un-adopted) Agenda failed to identify the ceremony as a recess item, he refused to allow a vote to recess, and “declared” the meeting “temporarily adjourned”. As you are aware, the Democrat Party in Bexar County has recently used the RRONR procedure to remove their County Chairman for similar charges to those brought against Chairman Ambrose. Their action was supported by the Democrat Party of Texas, and accordingly recognized by the SOS for the conduct of the 2012 Primary. In light of your own recently expressed concerns regarding the injection of ACORN style operative’s focused intentions to take back Texas for the Democrats, it is absolutely imperative that our rank and file Republican members know they can trust our own party leaders to stand firm on the party’s principles to support personal accountability and responsibility, and to recognize the strength of the nuclear family, for which Mr. Ambrose’s behavior and language expresses disdain. Enclosed is a 1994 Texas SOS Opinion, along with a well documented opinion from National Registered Parliamentarian, Kirk Overbey. I might add that the President of the United States can be removed by impeachment proceedings. A member of Congress, (House or Senate) can be expelled from office under the U.S. Constitution with a two-thirds vote. A judge can be suspended or removed by the Judicial Commission. A lawyer’s license can be revoked by the State Bar. A County official can be removed from office under Local Government Code, Chapter 87. Surely, it is only reasonable to assume that a political party official, including a County Chair, can be removed from office under RRONR, and State Republican Party rules. If you have any questions, or need supporting documentation of the propriety of procedures followed for the removal of Chairman Kenneth Ambrose, please contact me.